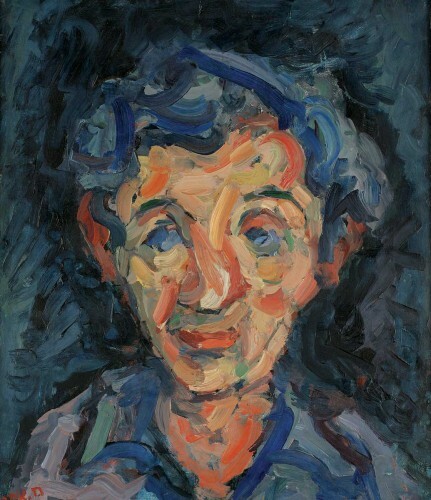 The Mishkan Museum of Art started out in 1937 as an “Art Corner” in a small wooden shack used as the atelier of Kibbutz Ein Harod member, the painter Haim Atar (1902-1953) – the museum’s visionary and founder. In 1940, the museum moved to its new home in a relatively large shack, previously used as the kibbutz school. It was renovated and its walls were covered by new jute cloths. At first, the collection was exhibited in two rooms: one for oil and aquarelle paintings and the other for drawings and prints. In 1943, the third room in the shack was included, dedicated to an art library. In 1948, the first section of the permanent building now called Mishkan or Home for Art was opened. Architect Shmuel Bickels (1909-1975) planned a magnificently simple architectonic masterpiece, whose rare qualities lie in the relations of scale between the halls and the original and unique utilization of natural light. 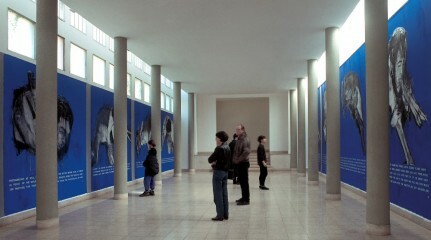 Exhibition halls, sculpture courtyards and a library were gradually built and added to the spacious building. In the midst of this construction, the kibbutz split due to ideological differences into Ein Harod Ihud and Ein Harod Meuhad (ironically, both Hebrew synonyms for “united”). Unlike many other kibbutz institutes, however, it was decided to retain the museum as a joint institute of both, testifying to the kibbutz members’ high regard for the Mishkan. Bickels’ plan was ambitious and far-reaching, and its implementation ran into budget difficulties. The various halls were constructed gradually, but the entire plan was never completely executed. The construction ended in 1958 without completing Stage III of the original plan. Road # 71 >Tel Yosef Junction > (Left turn from Afula, Right turn from Bet Shean)> Continue up the mountain >Turn Left at the third traffic circle until the Museum parking lot. In the following years, the functional spaces were adapted to changing needs: the foyer, store and offices were renovated by Ada Karmi’s firm and the Dudu Geva Memorial Workshop was built. In the late 1990s, the Meir Agasi Library and Bickels Café were re-planned by architect Ion Nanu. Subsequently, the Miron Sima Memorial Auditorium was built, and the museum storerooms were expanded. From the very beginning of his collection, Atar appreciated the importance of collecting original pieces and was opposed to the exhibition of reproductions – a common practice at the time, particularly with world masterpieces. During the Second World War, he insisted on the urgency of collecting Judaica items to preserve the memory of the Jewish communities destroyed in Europe. Contrary to the conventional wisdom that the kibbutz movement was opposed to any relation with Jewish religion and traditions, the approach taken by the members of Ein Harod is indicative of their respect for and emotional attachment to the Jewish world of Eastern Europe. “The Mishkan Museum of Art seeks to pool our nation’s artworks and thereby share the values of Jewish life destroyed in the diaspora with the children and youth growing up in Israel and bring to life before their very eyes the Jewish atmosphere their ancestors have created in their communities overseas”. Atar contacted his friends, Jewish painters and Paris, and they donated paintings and sculptures. He collected Judaica items on his travels, and with the help of Ein Harod members acting as the kibbutz movement’s emissaries in Europe. 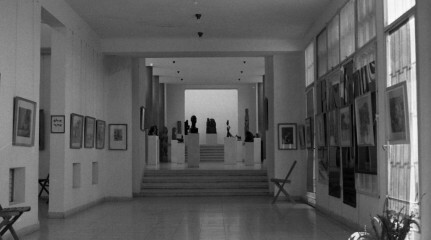 After Haim Atar’s demise in 1953, Zussia Efron was appointed as the museum’s curator and kept expanding its collection in the spirit of his late predecessor. In the mid-1980s, Galia Bar Or was appointed as the museum’s director and chief curator until her retirement in the end of 2015. In the latter half of the 1980s and early 1990s, Bar Or curated the photography biennales that played an important role in promoting artistic recognition of photography in Israel. Indeed, a central guiding concept in the museum’s activity was addressing aspects marginalized by the official historiography of Israeli art. Accordingly, the Mishkan hosted solo exhibitions by talented artists that have formed a fascinating corpus over the years, and yet were not included in the mainstream of Israeli art. 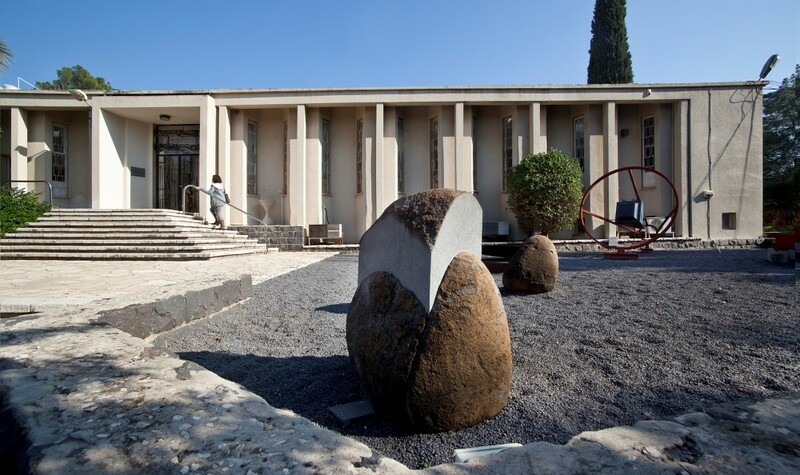 Safeguarding the memory of Israeli artists and preserving their oeuvres is a major part of the Mishkan Museum of Art in Ein Harod. The museum collection includes the estates of Haim Atar, Miron Sima, Meira Shemesh and Meir Agassi, as well as the estates of other artists significant to Jewish and Israeli art. The museum regularly displays exhibitions by young artists and projects that afford innovative and extraordinary experiences.